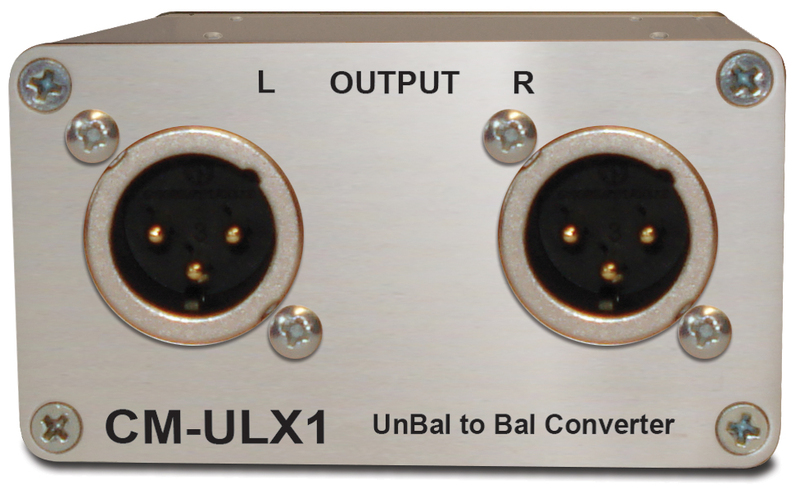 CM-ULX1 Unbalanced to Balanced Audio Converter. 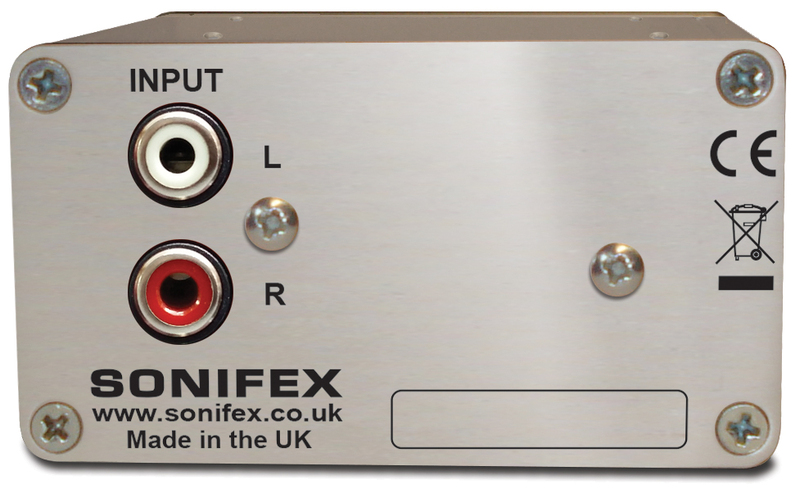 This product allows the connection of a stereo unbalanced line input on phono connectors to a balanced line output via 2 x male XLRs. It istransformer balanced, with a 1:2 ratio, so 6dB of gain is added to the input to help interface with the higher signal levels associated with professional outputs. 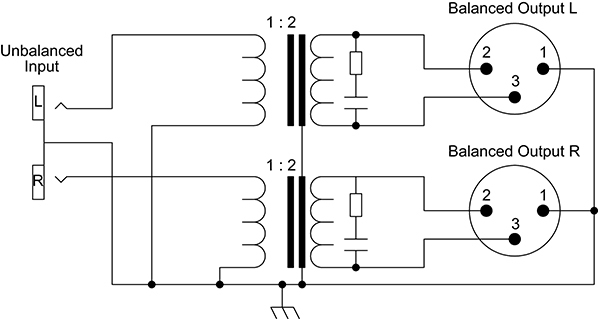 This unit is a passive version of the RB-UL1, and provides you with an alternative to wiring an unbalanced output directly into a balanced input. 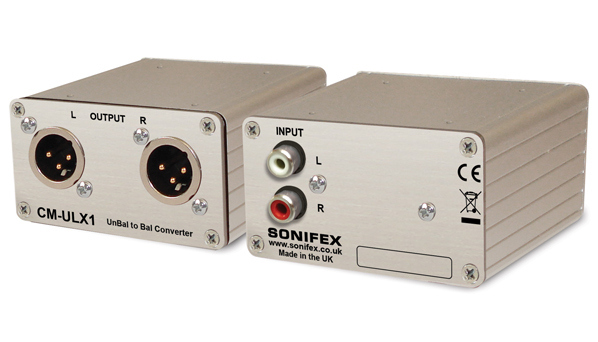 By placing this boxe close to the unbalanced output (before the cable run to the balanced input), the connection will benefit from the input device’s common mode rejection capabilities, reducing noise and interference.